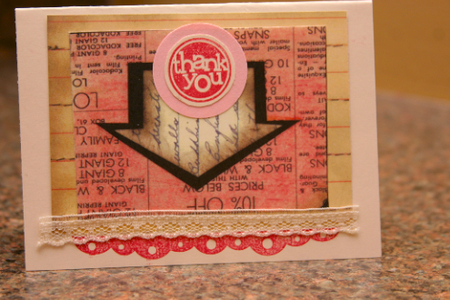 Love the lace combined with the scallop stamp! I changed the banner to "February"! Yipee!!! And with a whopping 9 days left in the month, I think that's fairly awesome. I would say enjoy it while it lasts, but you know what? It might be the end of March before I switch it at this rate. Also, 2 new sheets in the works. Background patterns. Simple yet essential. That's all I'm gonna say. 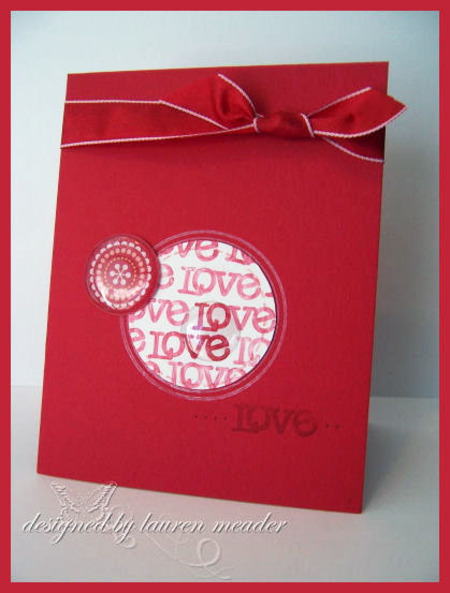 Laura says, "This is an easy card, but I added the see through circle for a little surprise!" Here's Laura's card! Love the letters arranged in a square. As promised! Super cute card from Lauren. Love the XO and the hanging heart. 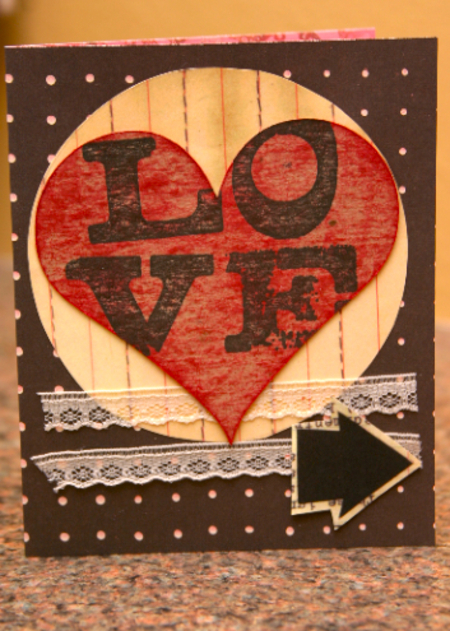 Watch for a beautiful love card from Laura later this afternoon. Pretty red card from Lauren. The "Love" stamp went w/ the American Typewriter set (discontinued). 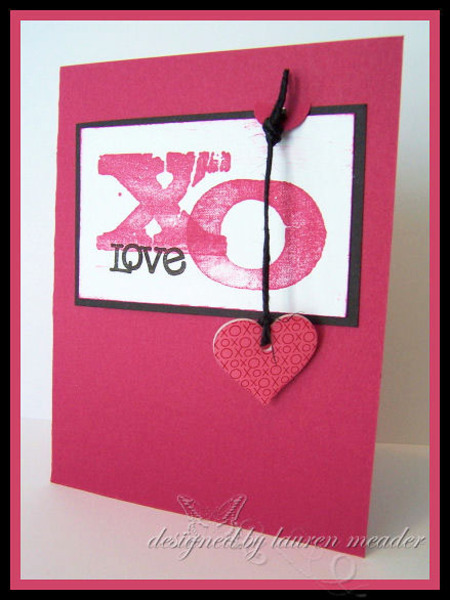 Check back tomorrow for another lovely red card ("XO") made with the Chase alphabet stamps. 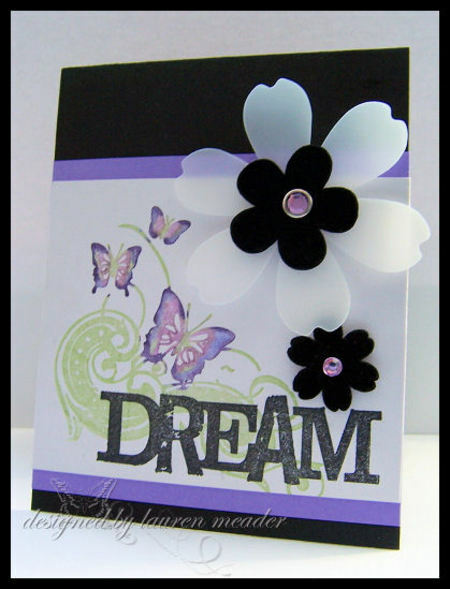 Sherry says, "A quick card I made to add to a teen gift -- super cute size of 3 x 3"." Hey, sorry for the posting drought. I have some cute cards from the DT, but it's been a week of big work deadlines and my 2-year old NOT SLEEPING. Luckily the 2-month old is. Anyway, I'll try to get a post up today or tomorrow and then be back on track next week. 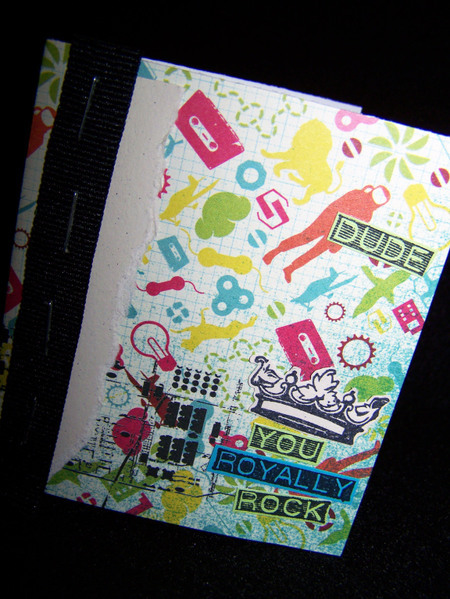 For this rock star card, Lauren brushed on ink with a stipple brush, then cut it out and matted it on black. 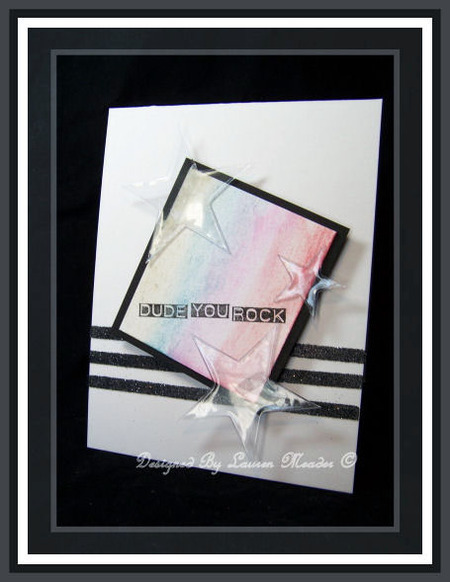 To create the glittery black stripes, she adhered three strips of scor-pal clear, double-sided tape, then just sprinkled on the glitter! She also used the tape to attach the clear stars -- always a tricky thing to adhere.